We went apple and raspberry picking this weekend and had a very pleasant day. I forgot my camera(gasp). But I remembered my brand new 50% off 12.99 candy APPLE red sunglasses from the classy shopping mecca, CVS. I walked out of the house totally forgetting my camera, just looking fabulous(insert laughing here). 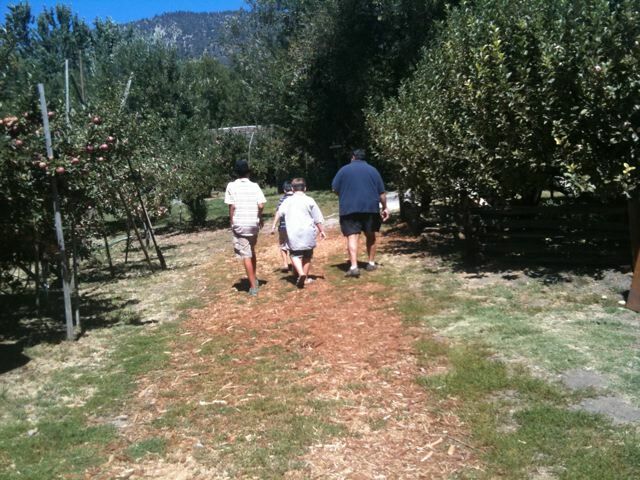 We went to Snowline orchard and Rileys Orchard in Oak Glen. It was nice weather, the boys had a good attitude. Amazing! 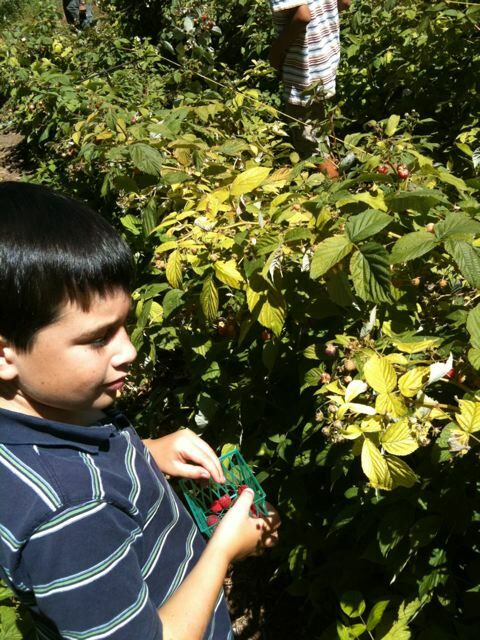 We started with raspberry picking. The bees were aplenty, Nick.. having never been stung his whole life picked for less than ten minutes. Joe jumped off the raspberry picking ship next, so it was up to Momma, Dad, and Tony to fill up the little green baskets. After the baskets were full we went in and had apple cider. 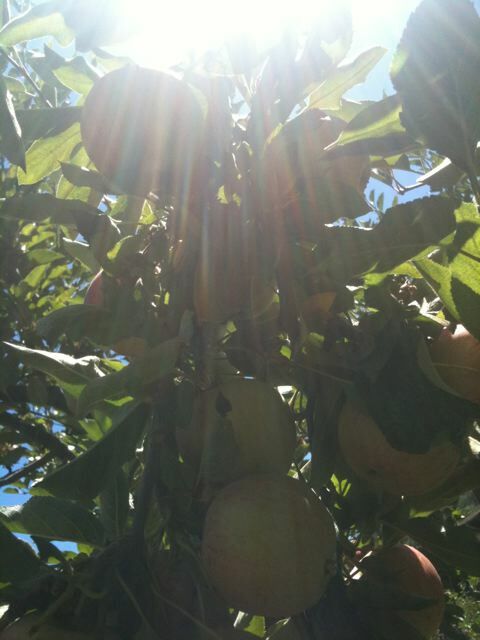 Next task on our fall picking tour, the apples! They were beautiful. The first trees we stopped at were all picked over on the low branches, so in a very funny moment Hubba lifted them all to the top branches. 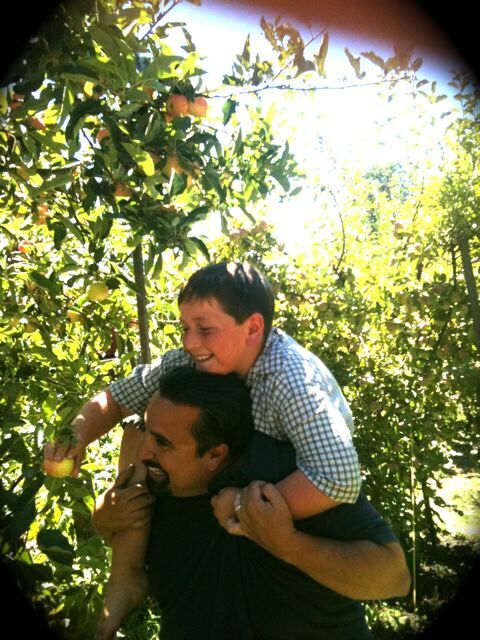 Nick and Joe were a little wobbly on Hubbas shoulders and much giggling happened! It was nice to step out of the box and enjoy the fall goodness! 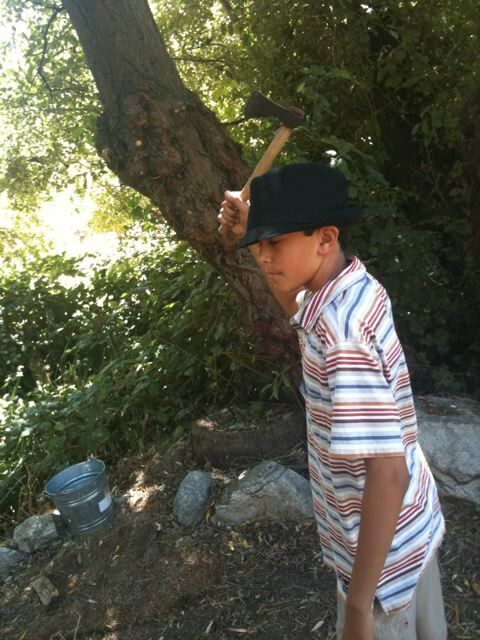 The boys were thrilled that one of the orchards had hacket throwing, Knife throwing, and archery, as well! After all was done we stopped in the lil village area and picked up some marshmallow shooters and a pvc archery set…..good times! All the photos were taken with Hubbas iphone…I had no zen moments with that, there piece of technology!